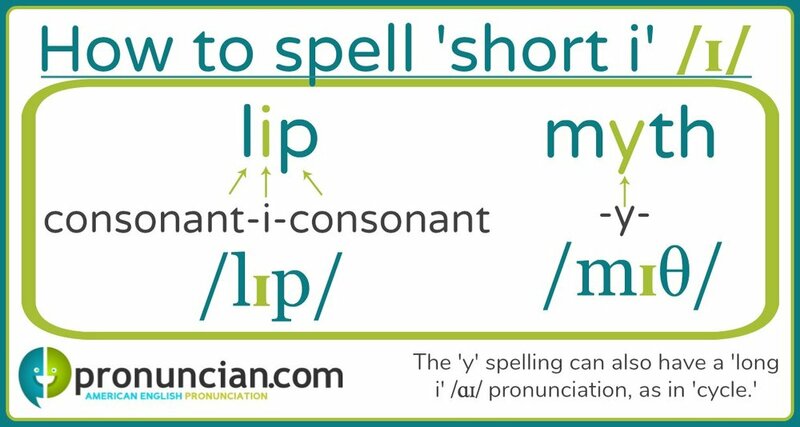 Phonics/spelling: The short i /ɪ/ can be spelled 'consonant-i-consonant (lip, spin) and with the letter 'y' (myth, symbol). Learn and practice American English pronunciation with free online lessons and videos. Minimal pairs and listen-and repeat practice helps English Language Learners speak English more fluently and achieve accent reduction.